Public schools will receive $4.26 billion in general state aid this school year, up $87.5 million or 2.1 percent from last year, the Department of Public Instruction announced Wednesday. The aid figures are a revision from those released Oct. 15. Gov. Scott Walker signed a bill Sunday to increase aid by $100 million over two years. The bill did not include an increase in state-imposed limits on school district revenues, so school boards are expected to use the additional aid to lower property taxes. The aid figures were marginally different than estimates released by the Legislative Fiscal Bureau last week as part of the discussion of the property tax relief bill. The Madison School District, for example, will receive $12,680 less than reported last week, a change of 0.02 percent. 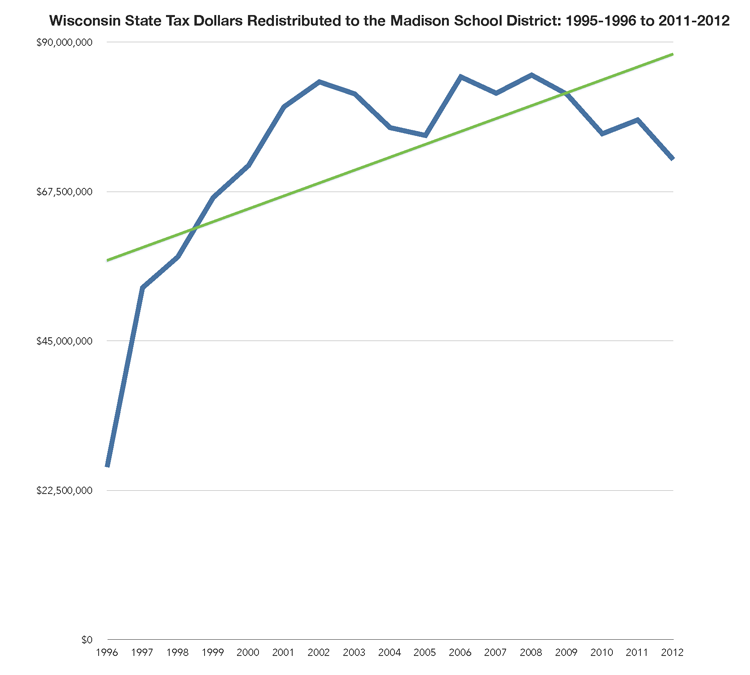 Over all, Madison will get $52.2 million in state aid, a 10.7 percent decrease.